What started as an unconventional horizontal anthropological investigation into the lives of coffee producers from Nicaragua to Colombia has accidentally become a bit of a longitudinal study. 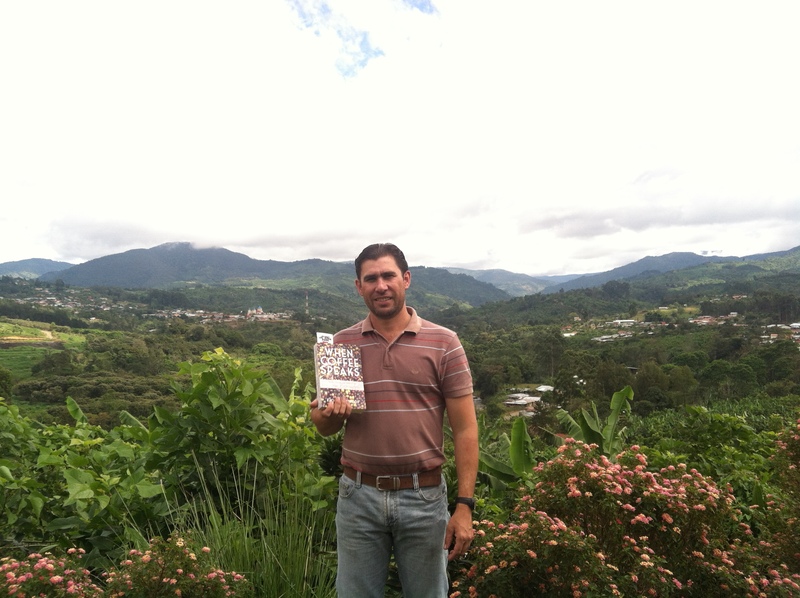 I spent the past month retracing my original steps through Costa Rica and Panama in order to distribute a book to every interviewee. Most of the people I interviewed have become friends (and contacts for the articles I write for Tea & Coffee Trade Journal), and we make full use of social media capabilities to keep in touch. 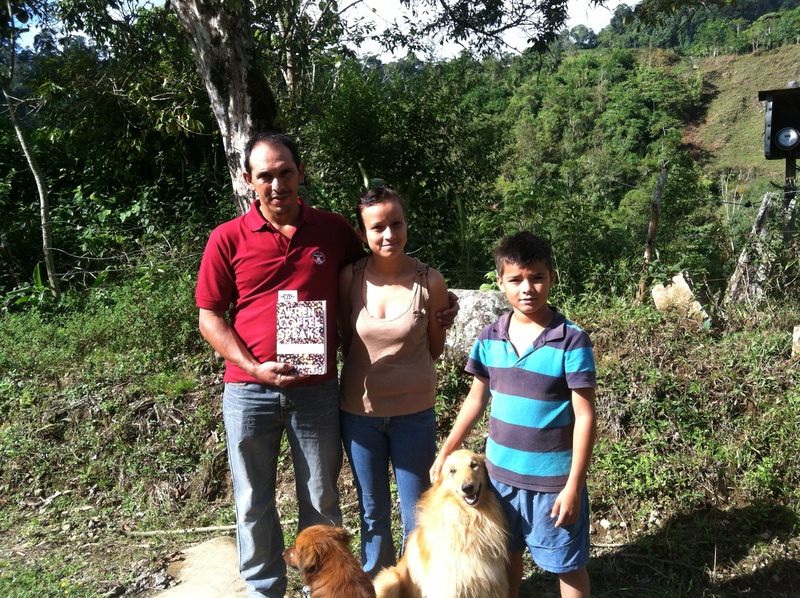 Gerardo’s family continues to grow coffee. The siblings have odd jobs around the area and help their dad on the family’s land. They’ve also planted more sugar, since that’s had a better price in the past year. 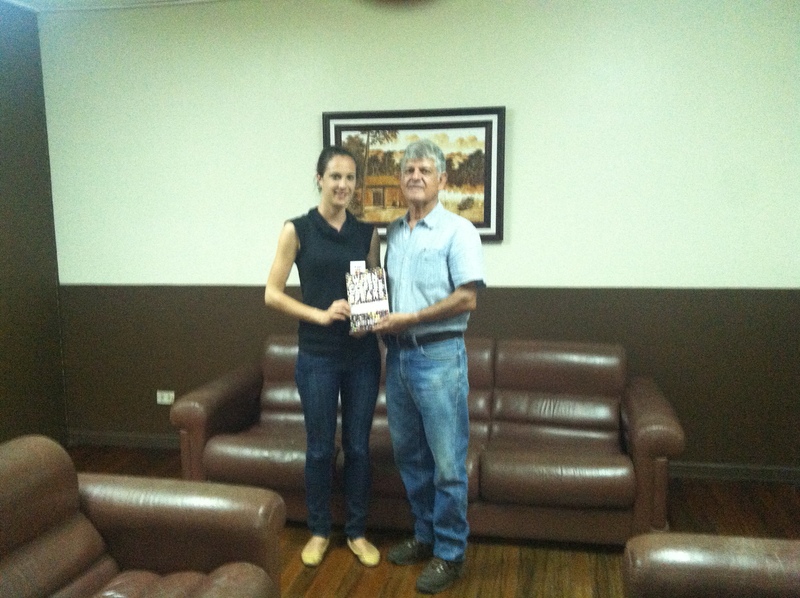 From May to September Elias presented at workshops from Guatemala to Panama about coffee leaf rust. A massive epidemic swept Latin America earlier this year, and Elias was part of the team at CATIE who collected and compiled data and put together analyses and reports of the status of the plague in each country. In early September he headed a culminating workshop that outlined next steps for rust prevention and control. 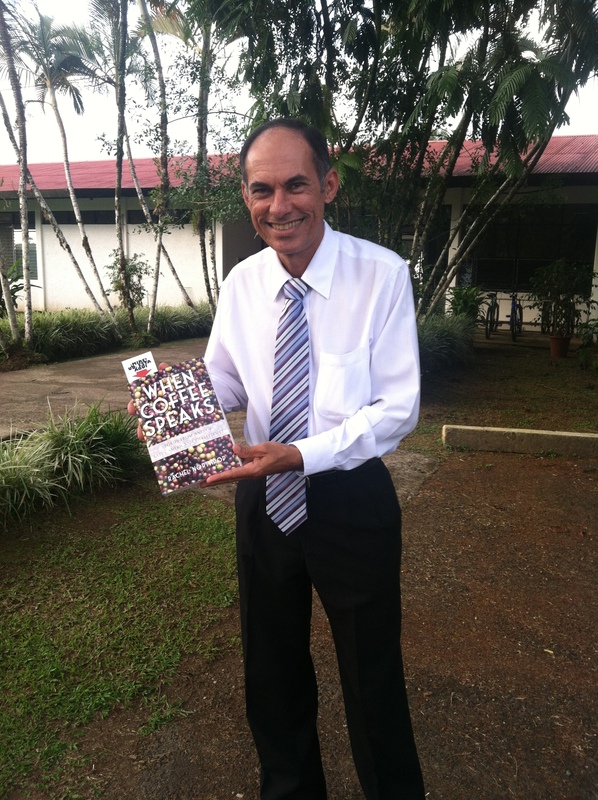 He continues to promote coffee agroforestry models. Beneficio Santa Rosa, being the only mill in the Turrialba area buying from small producers, was hit hard by the leaf rust crises. Producers had much less coffee to sell, but the mill is still hanging on. The Fuentes Gamboa family still maintains their organic finca, where they receive visitors and showcase their work. 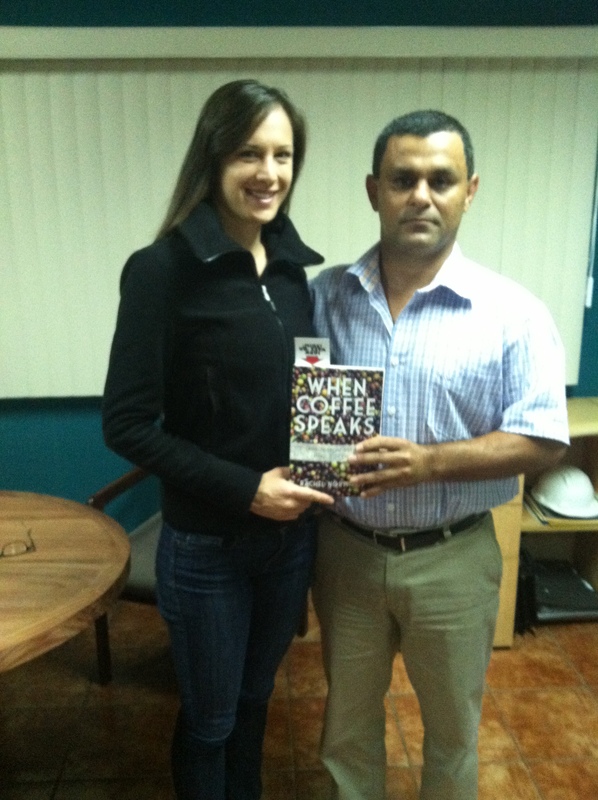 When I visited the sugarcane press “el trapiche” was in full swing. Jose’s sons told me that they had a couple big groups lined up to visit soon. They’re working on making a web page to promote their small tourism operation and putting flyers in local hotels. Roberto continues to roast Café Don Beto in his garage. The latest piece of machinery he built is a huller, so that he doesn’t have to bring the dried beans to a neighbor’s mill to be hulled before he roasts them; he can now do every step on the machines he’s built himself. He has several “regulars” who order many kilos at a time. 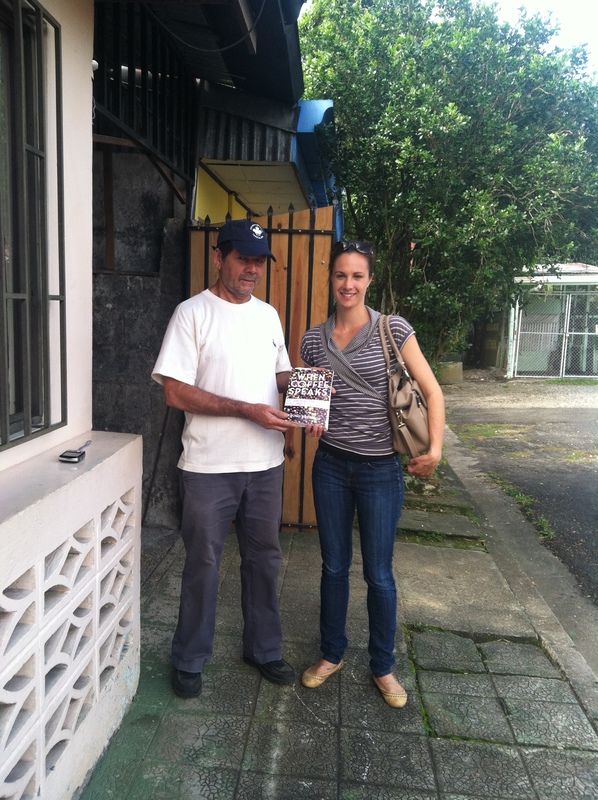 His first wholesale client is Lattera, a new café his niece operates in downtown Turrialba. 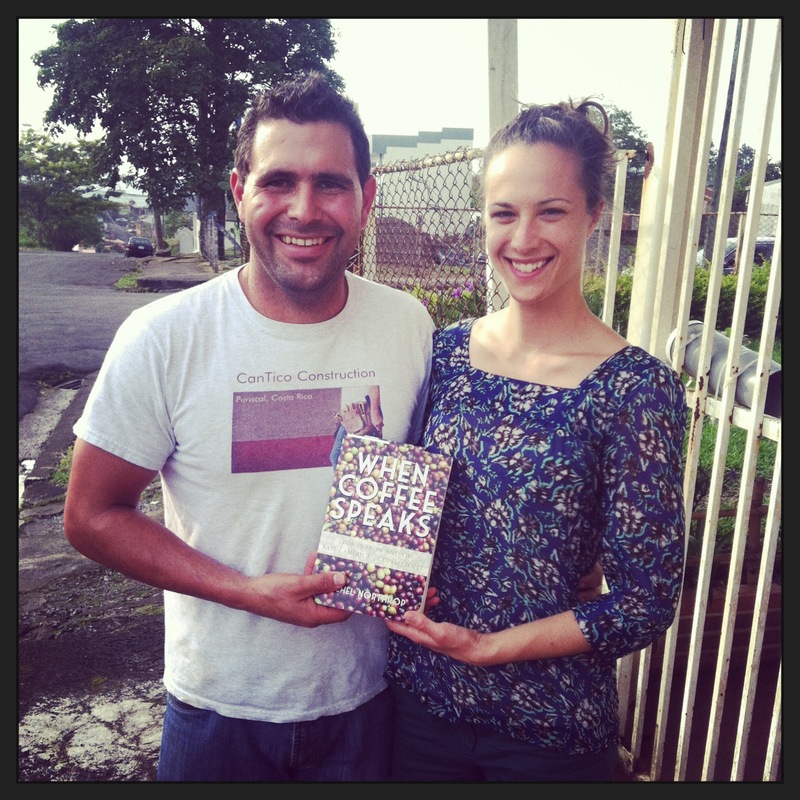 Marie has tirelessly worked to keep Turrialba’s organic coffee growing scene in motion. She’s resurrected an old beneficio under the name of the new company Naturalba, founded by the organic coffee producers of Turrialba. The beneficio processes both organic and conventional coffees, has hulling, roasting, and sorting machinery, and is working on getting packaging for local sales. Marie and the Naturalba team recognize that coffee has its highest value on the grocery store shelf, so they intend to be premiere producers of Costa Rican organic coffee. Lucy still drinks lots of coffee every day, and is loving watching her grandchildren grow up. She is thinking of moving back into downtown Turrialba closer to her job, and also has thoughts of putting together a biography to tell all her stores, of coffee and otherwise. 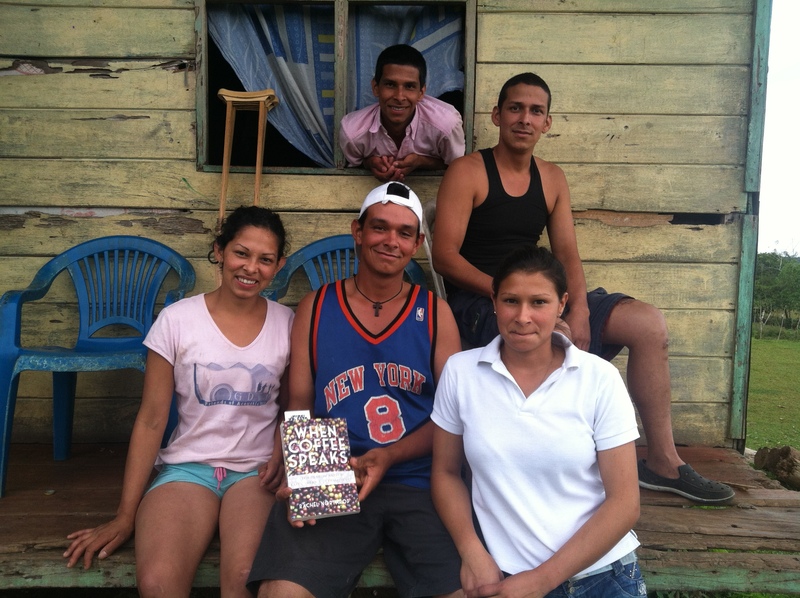 Fabio lost more than 90% of his organic coffee to roya leaf rust , but he hasn’t given up. 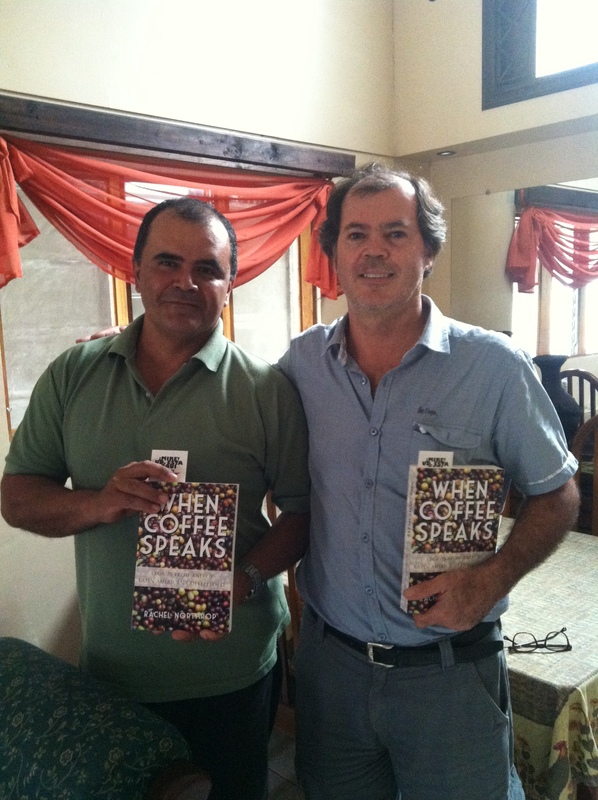 He sells what he has to Naturalba and proudly gave me a bag of roasted coffee to share with my family at Christmas. Rodolfo has been busy putting together an innovative program to help offer producers some economic stability during an extended period of extremely low market prices bottomfeeding well below the cost of production. 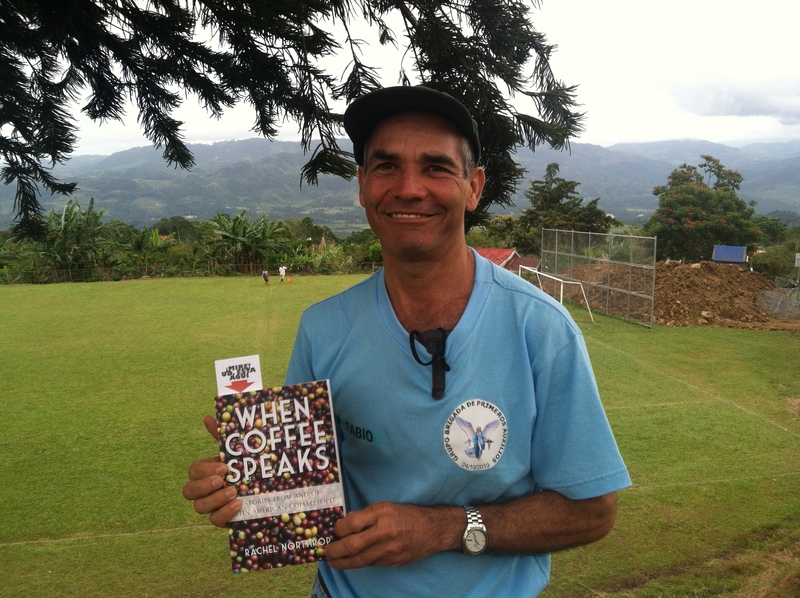 He put together the Don Manuel coffee program, where producers buy a quantity of roasted and packaged coffee at wholesale pricing, and then are guaranteed a price well above the market for the full volume of cherries they sell to the mill. Producers can then keep this coffee for their own consumption, give it to family, or, Rodolfo hopes, sell most of it at local grocery stores, schools and offices. One intention of this program is to encourage producers to drink their own coffee (rather than buying competing brands at the supermarket) and to promote local consumption of local coffee. This program is innovative in that it is not a loan or credit of any kind. Most assistance programs extended to producers in low price environments involve some potential for further debt, but the Café Don Manuel program is trying to find new ways to eliminate debt risk for producers while marketing the mill’s coffee. Luis Angel is moving up in the world. He has been promoted to Mandador, the respected position of manager of the “troops” of workers doing the daily tasks needed to run a coffee farm. He tells the pickers where to pick, the macheters where to machete, and the fungicide sprayers where to spray. He’s in charge of new plantings and of making sure the harvest doesn’t overripen and fall off the trees; the coffee up in the Poteciana is thriving and dripping with harvest. I visited the Potenciana right at the first days of summer vacation (early November) when the area middle school and high school students rush into the coffee fields to earn themselves some spending money. Luis Angel’s daughter Tatiana (striped shirt) was elated when she picked her first cajuela of red cherries and was able to line up with everyone else on Friday to receive her very first payout. The Los Jilgueros micromill is cranking away. 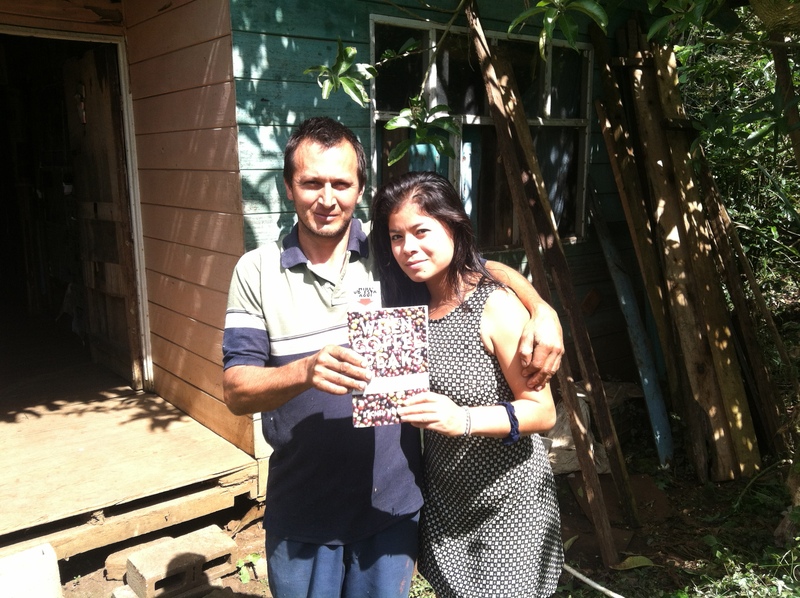 The Diaz family is rapidly moving forward with their goal of selling Los Jilgueros roasted coffee at hotels in Dominical on the Pacific Coast and of operating a small cafeteria adjacent to the micromill to be able to receive visitors as part of their small planned rural tourism enterprise. 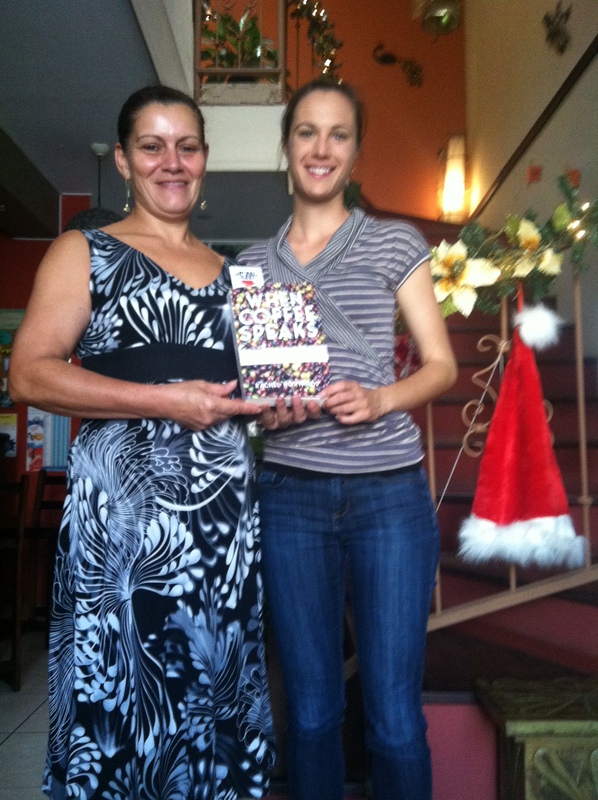 With funding from PNUD Costa Rica (UN Small Donation program) they’ve purchased a 5kg Descafe (Costa Rican made!) roaster. 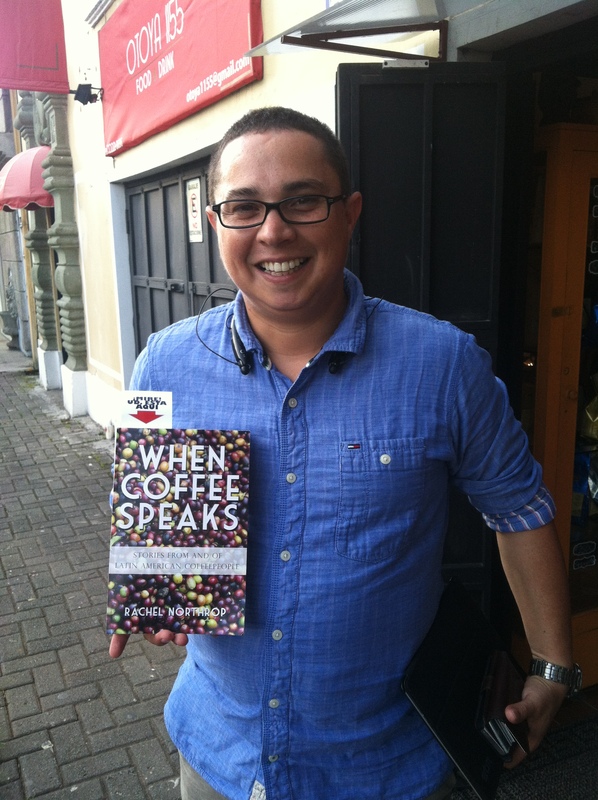 The small specialty coffee exporting company they work with, Exclusive Coffee (see Francisco below), is providing them with ongoing roasting training. 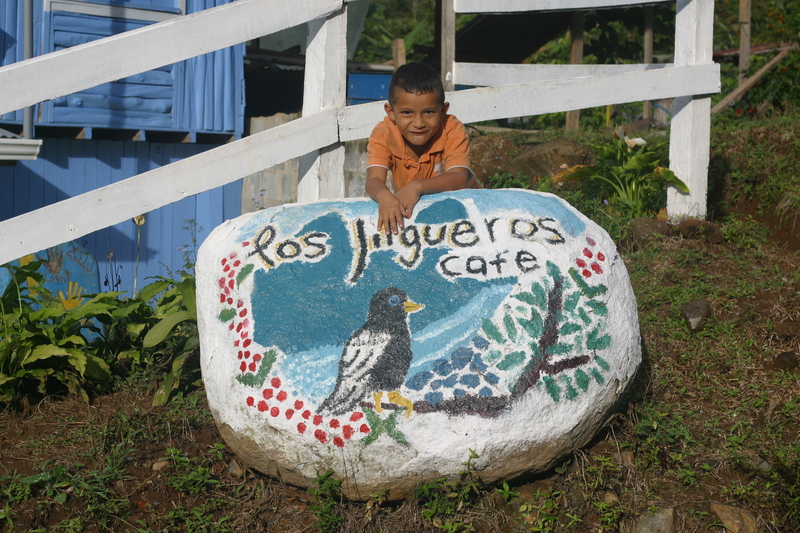 In order to produce Los Jilgueros coffee, they now drive a load of dried coffee down the mountain about 30 minutes to a friend’s dry mill where it’s hulled and sorted, then drive it back up to Cedral, where Hania and Donald’s wife Flory roast, grind, and package it in bags bearing the Los Jilgueros logo. Roberto sails on as the fearless helmsman of Coopedota. Coopedota’s Carbon Neutral line of coffee is for sale in their coffee shop, charting new territory for producing and commercializing sustainable coffee. 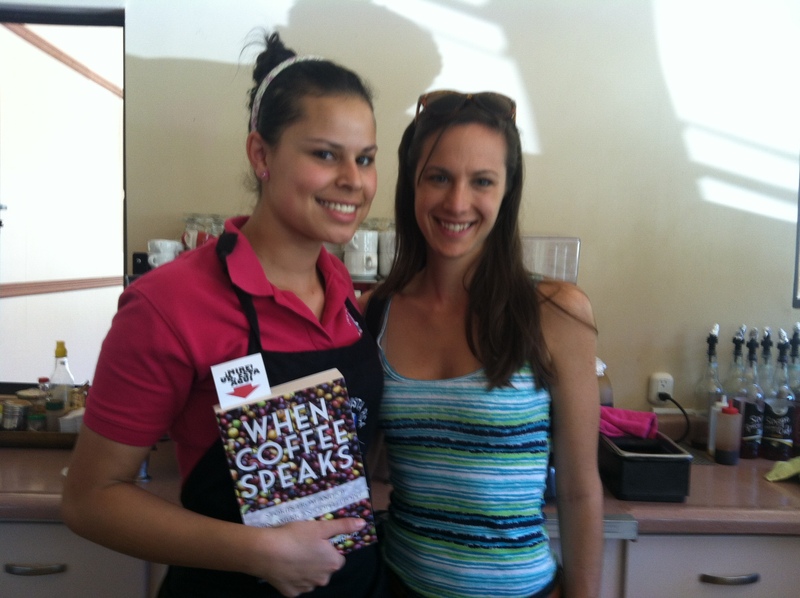 Fernanda is now a full time barista at Coopedota’s Los Privilegios café. She is extremely proud of her job and still wears an infectious grin. One of her coworkers is a current member of the coffee course Fernanda completed last year, and he competed in the 6th edition of the barista competition the week after I visited. Minor is up to his eyeballs in as many projects as he can handle involving coffee and community development. For the past year he’s managed the plot of coffee around his house as organic. He’s mixed natural concoctions of calcium, copper sulfate, and other elements to act as fungicides and left a layer of undergrowth and decaying organic material to act as fertilizer. On the larger plots of coffee he and his family members own a few miles up the mountain, he still uses chemical fertilizers and the occasional round of pesticides and fungicides as needed, but he’s completely eliminated herbicide use. It’s striking to see the contrast between his sprawling cafetales on one side of the road, with their carpet of green grass and a recently macheted weed layer, and the bare dirt of the clean, tidy, herbicide soaked cafetales on the other. In addition to learning everything he can about organic production and trying everything on his experimental plots, Minor and his wife Lucidia are actively working on the Heart of Gold rural tourism project. They are part of a group of families from the mountains to the Pacific coast working to launch a rural tourism route that brings visitors 50km from the mountains of Copey de Dota to Manuel Antonio Park on the Pacific. Visitors sleep in humble accommodations provided by participating families and follow a guide through jungle, farms, and forest. 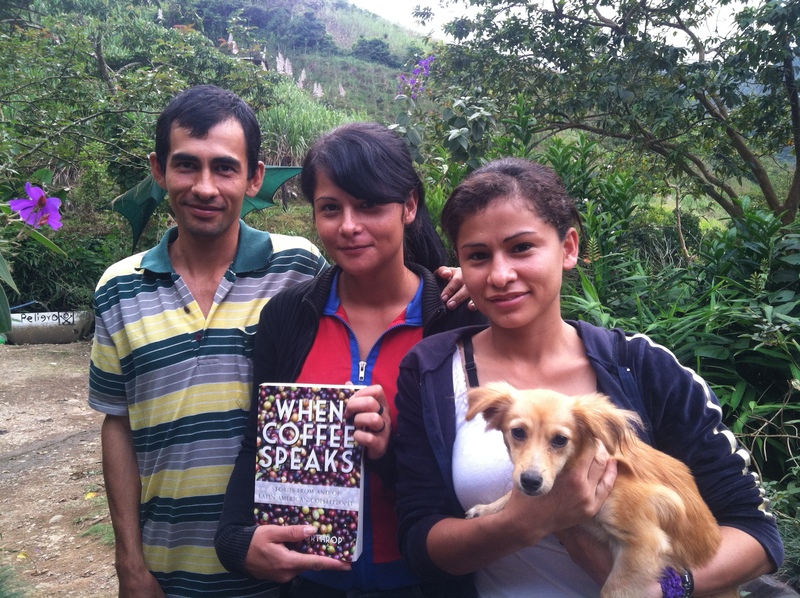 Susy continues working with Daniel to improve the coffee she grows. 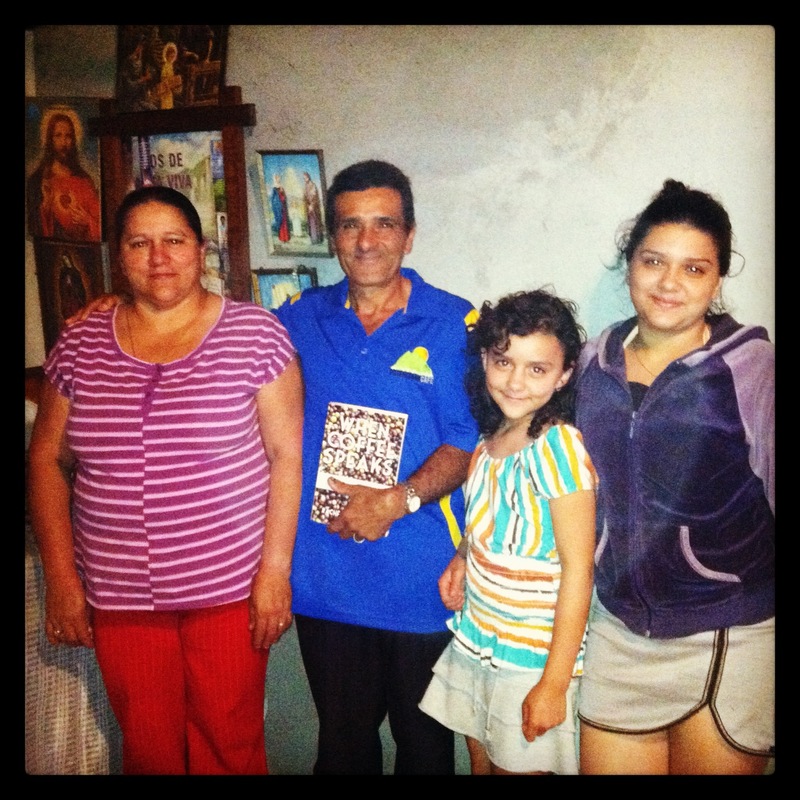 Esteban is no longer in charge of running the beneficio and processing at La Candelilla. He now works on developing new products and new frontiers, including improving the quality of roasted coffee La Candelilla offers. He built a small custom roaster combining conduction and convection that gives him perfect control over the roast. He’s planning its public debut at the Feria de Café in Frailes this January. He’s also working on a new method of Natural Honey processing, that involves letting the coffee dry partially with the skin on (Natural style) and then removing the skin before letting it dry fully with all the mucilage still intact (Honey style). He is as excited as ever about the ways the coffee varietals planted on the hectares of the Sanchez family farms keep yielding new surprises. Javier is moving La Cabaña right along. The mill didn’t move forward with the biodigester, but they are moving forward with roasting projects. La Cabaña now roasts its coffee under the brand Kabe Blü (indigenous Ngöbe name for coffee flowers) and works with five other micromills in the area to serve up fresh brewed coffee at the new Mutute. 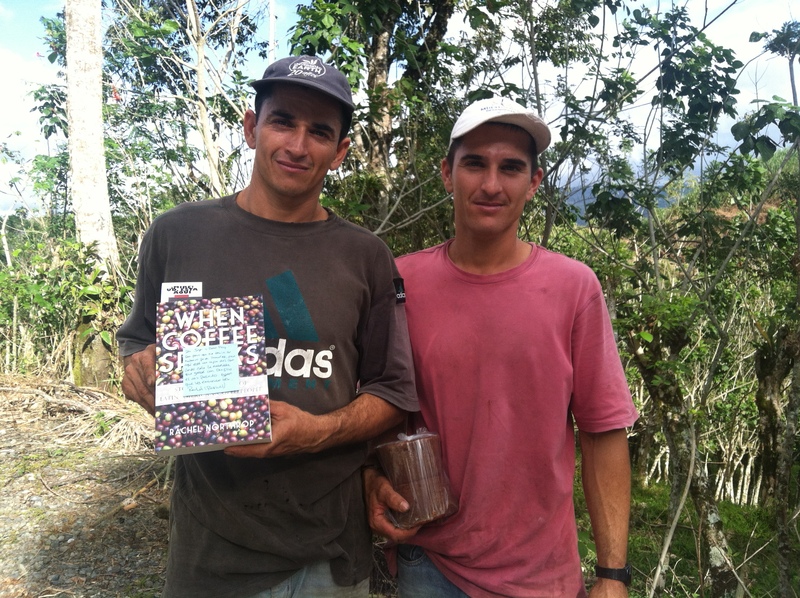 Javier and Gabriel are committed to making delicious Costa Rican coffees more accessible to both visitors to Costa Rica, and, more importantly, to the people who live and work in coffee growing communities. Javier continues to sell lots of Honey coffee, which can take as long as six weeks to sun dry with all the sticky, sweet mucilage clinging to the parchment. Thr!ve Farmers is full steam ahead. In Costa Rica they’ve started working with Exclusive Coffee (see below), and include producer partners from all over Latin America. Co-founder Alejandro Garcia notes that, “we haven’t changed anything about our model, only expanded it.” He did say that Thrive now offers an advance to farmers, so that they don’t have to wait until the final green or roasted coffee reaches an end consumer to see a profit. Thrive is perhaps most excited about it’s partnership with its newest client, Chick-fil-A. Both companies are based in Atlanta, and Thrive’s coffee is now in all Chick-fil-A locations in 40 states. Thrive is giddy about this level of national exposure, and the partnership is indicative of the trend in the restaurant and food service industry to upgrade the coffee they serve to levels that can compete with the quality (and advertised social responsibility) of coffee-centric chains. 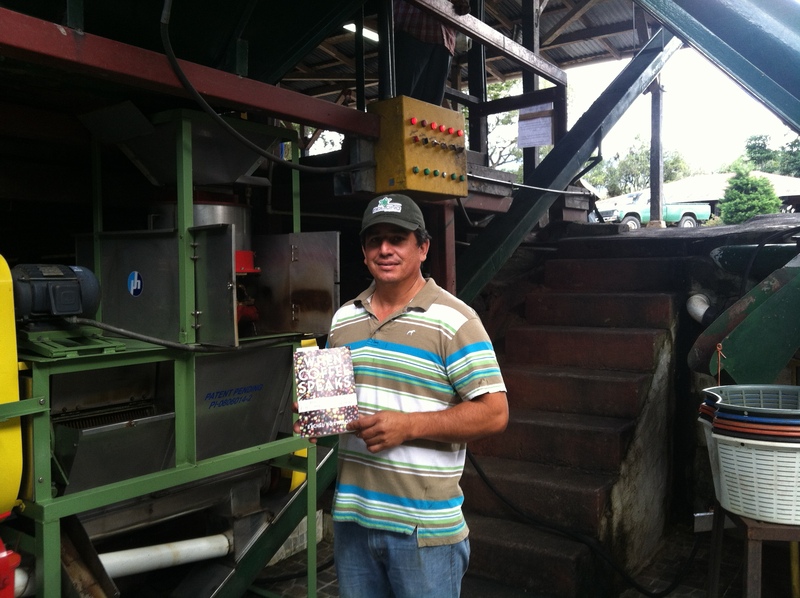 Francisco continues to lead the charge in exporting specialty coffee from Costa Rican micromills. Exclusive Coffee is doing what Exclusive does best; cupping coffees for quality control, constantly maintaining an open dialogue with the producers, and exporting coffees to the most demanding micro roasters around the world. The Hartmanns continue to bring the best Panamanian coffees to the pallets of discerning buyers in the US, Asia, Australia and beyond. Novo Coffee Roasters in Denver is selling their Maragogipe coffee by the pound. 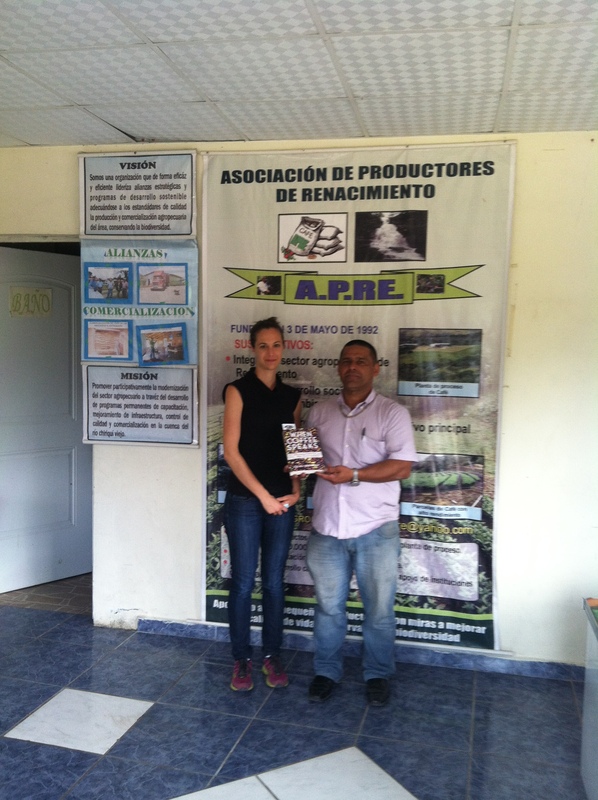 Orlando continues to oversee the operations of the APRE beneficio and dry mill. His two teenage sons were in the first week of their summer vacation when I walked into the APRE mill on a Friday afternoon. They excitedly flipped through the book and picked out their dad’s name and the few English words they knew, but they even more excitedly lined up behind the secretary with the clip board to log their end-of-week ours. The aura of Manly Responsibility radiated from their shoulders and out onto the winding highway below. The Janson’s coffee still lines the shelves of local grocery stores, and the Jansons count themselves among producers in the Volcán region advocating for better recognition of the work agricultural producers in the Chriquí province do to supply products for the rest of the country. The construction on the expansion of the beneficio at Finca Elida is almost done. 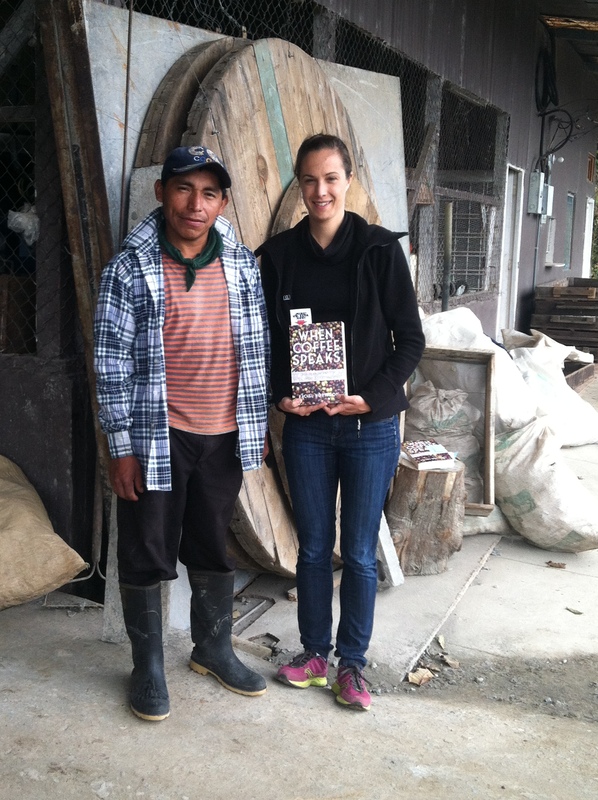 Felipe is still hard at work overseeing harvest, processing, and construction. Milvia is still Boquete’s biggest firecracker under 5ft. 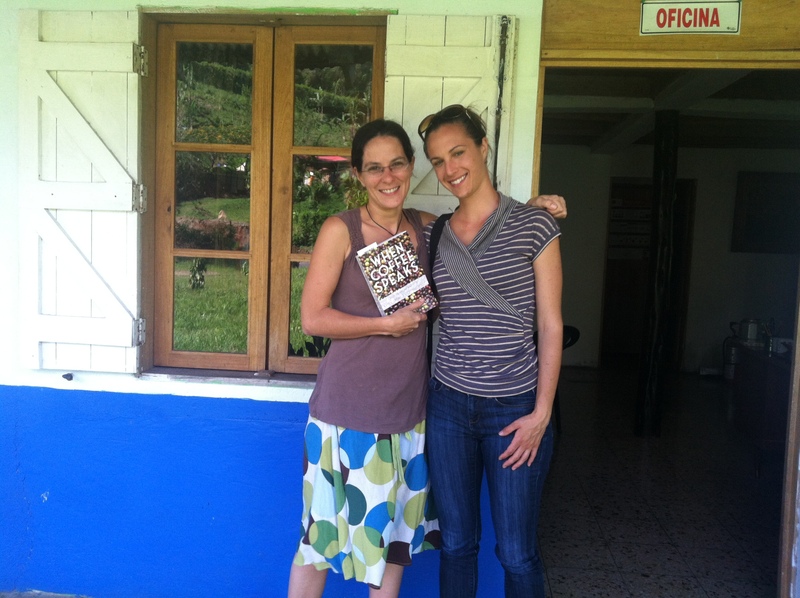 She drove herself to meet me, and then had to rush off to drop off the coffee at the new mill her finca is selling to. Seeing the amendments in attitudes and opinions and projects just one year later reminded me that coffee is a plant; it grows, and as it grows it changes. The people who work with coffee are also alive and growing, and the changes they’ve made in one year’s time are humbling. It doesn’t matter if there’s leaf rust or low prices or external doubt or someone telling you that Brazil has a huge harvest so you should just sell your land and cash out. You keep going because there is always something you can do. 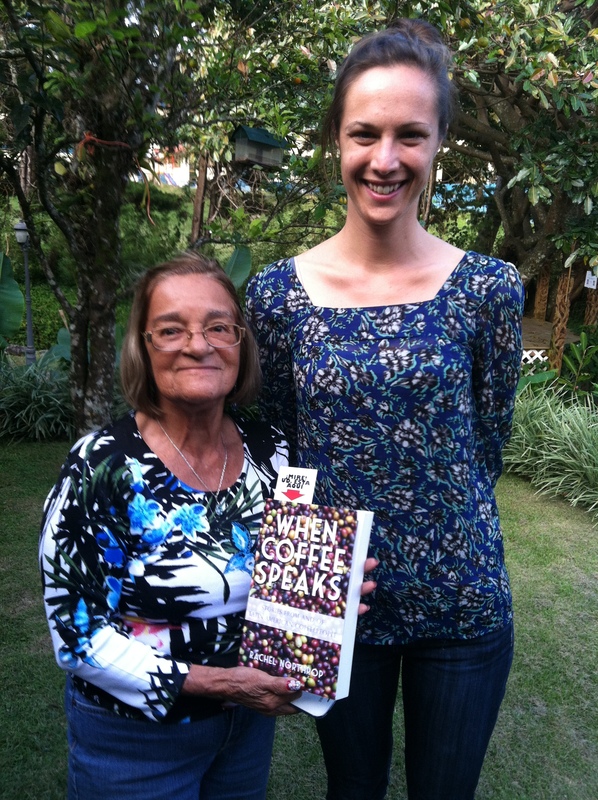 Want to read the full interviews with all coffeepeople pictured above (and more!)? 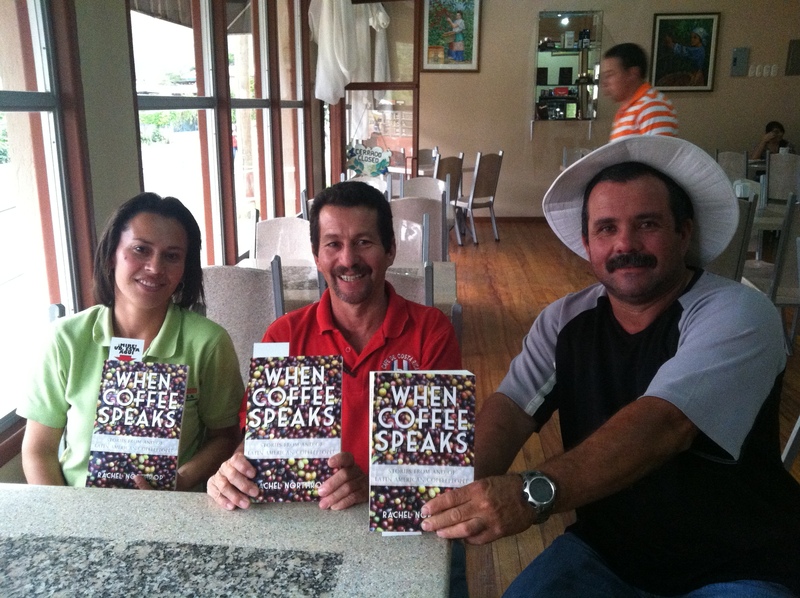 Purchase When Coffee Speaks: Stories from and of Latin American Coffeepeople. It makes a great gift! Pingback: Otro Año Despues | W h e n . C o f f e e . S p e a k s .
Pingback: Another Year Later | W h e n . C o f f e e . S p e a k s .
Muchas gracias de parte del equipo de Naturalba. Esperando verla de vuelta a Costa Rica para la version espanola. Su libro es genial, felicidades !! Marie- gracias siempre a uds! Ojala pudeo volver pronto, y no se cuando, pero en algún momento voy pasar el libro al español, quizas el idioma en cual debo haberlo sacado en el primer lugar! Pura vida! Thank you Rachel for the updates! The passion you have shown for your project is absolutely amazing. It would have been so easy to rest on the finish book. The connection you have developed with the people on such a personal level makes your project so much more. Have you considered developing a TV series? The stories you have seem tailor made for TV. Keep up you excellent work and we look forward to seeing you again on the Potenciana!